This is a custom roster for the Blacktop Mode in NBA 2k14 (PC) in which all the players including superstars like Kobe Bryant, LeBron James, Kevin Durant, Derrick Rose, Carmelo Anthony and legends like Michael Jordan have been unlocked. In Blacktop Mode in NBA 2k14 you can play 1-on-1, 2-on-2, 3-on-3, 4-on-4 or 5-on-5 game on a street basketball court. How to unlock the players in Blacktop? Extract the downloaded file using 7zip. Copy ‘Blacktop.ROS’ ‘to NBA 2K14 Saves folder. Go to options > load/save > load > select Blacktop. 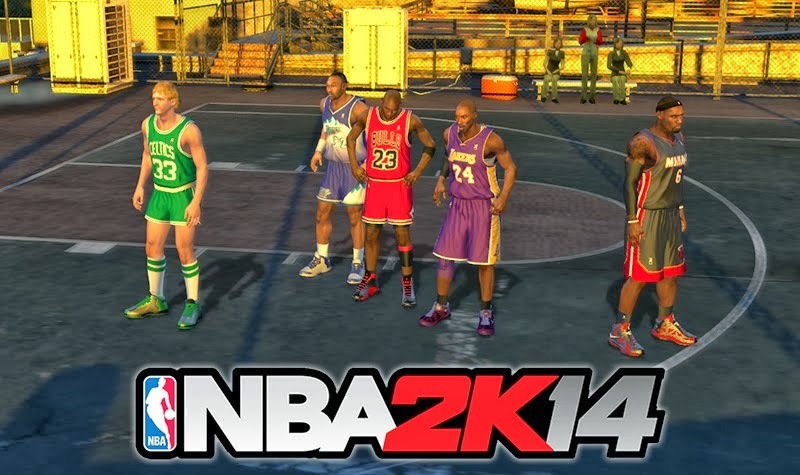 Play NBA 2K14’s Blacktop mode and you should be able choose star players like LeBron James, Kobe Bryant, Kevin Durant etc. on the selection menu.